Welcome to the 464th Edition of my series. This month I will be having more Halloween oriented selections than usual as today starts the best movie watching contest there is in the Madness. I am now 2-2 in Fantasy Football after an 0-2 start and am tied in the division lead so hopefully I will be able to continue my success this week. I am also glad to announce that on October 25th that I will be a part of Tom Cherry's Old Time Radio Show which is in Farmland and at 3 pm. More details coming later. I will get to my selections for the week. Sweeney Todd: The Demon Barber of Fleet Street (1982): Notice the year and this is not that Tim Burton film. This is a live version of the Stephen Sondheim musical which was introduced in 1979 and at this time was on a national tour. This one has George Hearn playing Sweeney Todd and MURDER, SHE WROTE alum Angela Lansbury playing Mrs. Lovett which she originated on Broadway. As the story goes, the title character once lead a very happy life with a wife and daughter Johanna, played by Betsy Joslyn, only to be wrongly sent to prison by the corrupt Judge Turpin, played by Edmund Lydeck, while his wife is raped and murdered and the judge raises his daughter as his own. Many years later, the barber escapes from prison and with the help of a good nurtured sailor named Anthony, played by Cris Groenendaal, ends up back in London where he looks to get his revenge on Judge Turpin and his equally sadistic henchman Beadle Bamford, played by Calvin Remsberg. He soon meets Mrs. Lovett who owns a meat pie shop and helps Todd take his revenge while also helping her in a strange way improve her business. This is one of my favorite musicals and had the honor in 2011 to play the part of Beadle Bamford in a production in Portland, IN which is one of the favorite things I have done. 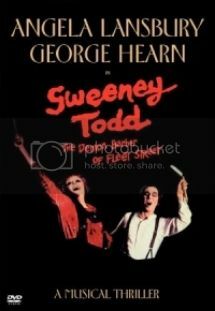 The original Sweeney Todd was Len Cariou who is on the original Broadway soundtrack but is played by Hearn in this one who also plays the part very well. Lansbury is great as Lovett. I was hoping in this one to see Victor Garber as Anthony who was in the original production but Groenendaal was a pretty good replacement. If you do not like the movie, please don't judge this one on account of the movie. 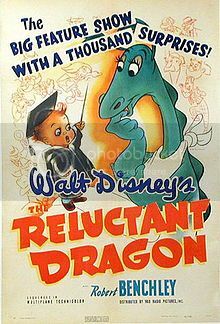 The Reluctant Dragon (1941): This is my Disney entry for the week. Humorist Robert Benchley plays himself who is trying to pitch the idea of a children's book into a Disney movie on the advice of his wife. When he arrives to Walt Disney studios, he is looking to meet up with Walt himself but becomes distracted when learning about Disney's animation process at the time. This is in some ways a documentary as it educates on the way they produce the animation and even sounds. They had just as good of results as they do now with all the computers and the process at this time probably took more effort. In the process, they show a few animated short to go along with it. There were appearances by the people behind the voices like Clarence Nash who voiced Donald Duck. I had not heard of this one until I came across it on Disney and is a great nostalgiac look towards Disney in the era. This is available on Instant Netflix and those who love classic Disney will enjoy this one. 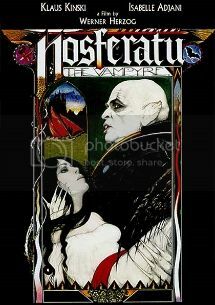 Nosferatu the Vampyre (1979): Werner Herzog directed this remake of the 1922 classic where the characters mostly go by the names from Bram Stoker's novel DRACULA. Bruno Ganz stars as Jonathan Harker who is sent away to the castle of Count Dracula, played by Klaus Kinski who has a similar look as the character of Count Orlak in the original, who wants to buy a house in Varna. Isabelle Adjani co-stars as Jonathan's wife Lucy Harker who Dracula begins to obsess over while wreaking havoc in Varna. Roland Topor plays the crazy Renfield and is very fun in the role I thought adding more villainy than usual. This was a rather interesting interpretation to the iconic vampire and has a much different ending than most. In the 1922 film NOSFERATU, F.W. Murnau adapted from the Stoker novel but did not have the rights so changed all the names. Herzog decided to use the names though Lucy is usually a supporting character and the character of Mina is Harker's love interest but reverse roles in this one. This was also very shot and adds a really good creepy feel to it. Kinski does well as the count as well as a young Bruno Ganz. This is a great holiday film for the month. 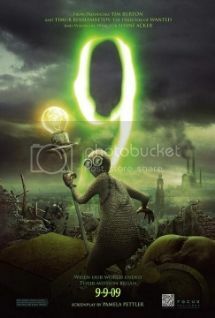 9 (2009): Shane Acker directs this post-Apocalyptic animated film that was produced by Tim Burton and Timur Bekmambetov. This takes place in a world which was destroyed in a war between man and machine where the only ones left are a group of rag dolls which were created by a scientist and brought back to life. Elijah Wood provides the voice of 9 who awakens in a dark world finding there are many like hi. He learns he is part of a group that is the last hope for humankind. Christopher Plummer, Martin Landau, John C. Reilly, Crispin Glover, Fred Tatasciore, and Jennifer Connelly provide voices to other dolls. The animation was very well done. The story was not the greatest but still pretty decent and interesting. If you are looking for a rather dark animated story, this might be a good one to start with. 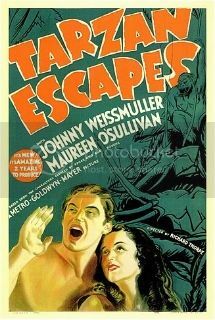 Tarzan Escapes (1936): Johnny Weissmuller and Maureen O'Sullivan reprise their roles as Tarzan and Jane. A couple of Jane's cousins Eric and Rita, played by William Henry and John Buckler, are part of an expedition and let Jane know that they need her back in civilization in order to sign for a will by a late family member forcing Jane to consider her life with Tarzan and her family back home. In a darker situation, Captain Fry, played by John Buckler, plots to take Tarzan back to civilization but gets a lot more than he bargained for. I thought this one was good to show the relationship between Tarzan and Jane and showing how worried Tarzan was that he could lose Jane. Just because he has a limited vocabulary, he still knows what is going on around him. This is also a pretty good adventure. This is the third film in the series where the chimpanzee Cheeta has a bigger role in this one providing some of the comic relief. Under the Skin (2013): This was part of last week's "Movie Night at the Shera" segment. 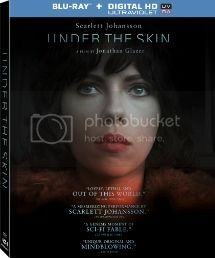 Jonathan Glazer directed this sci-fi art film which stars Scarlett Johannson as an alien female in Scotland. She preys off of men on the streets luring them into a really strange world. These men follow her and end up in an abyss of liquid where their bodies vanish. This is a movie that is not for everyone. It does go at a rather slow pace but is very well shot with some great imagery. This is based on a book by Michel Faber and is loosely based on the book so die-hard fans of the novel may not like this one. Since I don't read much, I cannot really make those sorts of judgments. This was not one of my favorites but it did keep my interest. I was watching it thinking "WTF" a lot but could not take my eyes off it. It has rather limited dialogue and feel it is left for interpretation and debate. Most of the people in the film were not actors, they filmed the scenes with them and were then informed they were in a movie. What I liked in this one was the imagery and even the use of color which I do not comment much upon. Take this for what it is worth and can probably make a decision on if this is for you. Have Faith in Our Children (1955): This is my short film for the week which is actually a Public Service Announcement. 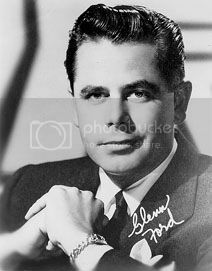 Actors Glenn Ford and his wife Eleanor Powell are promoting support for the blind children and encouraging donations to look into a possible future cure. i always enjoy seeing these from this era and recorded this three minute PSA from TCM. 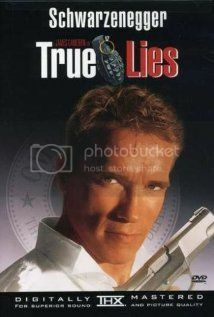 True Lies (1994): This is my action film for the week which was directed by James Cameron and is more of an action parody. Arnold Schwarzenegger stars as an anti-terrorist secret agent named Harry Tasker who puts on a front to his wife Helen, played by Jamie Lee Curtis, and daughter Dana, played by DOLLHOUSE alum Eliza Dushku. Curtis is also really good in her role and she also looks good after all these years especially in the iconic helicopter scene. He is on the trail of nuclear weapons while also under the belief that his wife is seeing another man and she gets involved in the action more than planned. Bill Paxton, Tom Arnold, Tia Carrere, Art Malik, Charlton Heston, and many others co-star in this film. This has a great blend of action and comedy and is a very fun one to watch as long as you can suspend your disbelief and have some fun. 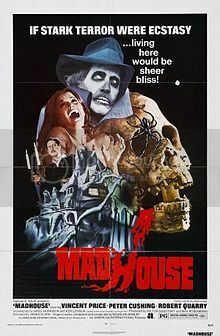 Madhouse (1974): What's October without some Vincent Price and Peter Cushing? Vincent Price stars as horror movie star Paul Toombes who is returning to his role of Dr. Death after many years. When this happens, cast and crew members start dying in ways that were reminiscent of scenes from his previous movies. Peter Cushing had a smaller role in this one. This was very interesting but also all over the place at times and seemed to have been filmed quickly. This is still of worth to see Price and Cushing. 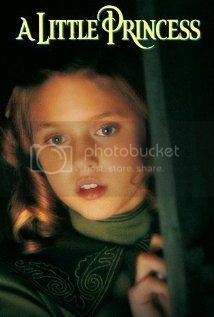 A Little Princess (1995): I end the week with this Alfonso Cuaron film which is a remake of the 1939 Shirley Temple film and found this one to be every bit as good if not better. Liesel Matthews stars as Sara who has live a great life in India so far but her father is called to go to WWII and he moves her to New York into a boarding school that her late mother attended. She finds that this is a far more stern place than what she is used to under Miss Minchin, played by Eleanor Bron, who does not believe in creativity among children and pretty much runs a dictatorship. Things get worse when her father is presumed dead in the war and his estate was seized by the British government. Sara's outlook on life becomes very challenged but tries to make the most of it and shows what a good person she is even when she has nothing. This is one of those movies that really moved me to tears. Matthews was great as Sara and Liam Cunningham was also very good as her father. I felt this was a very beautiful film has gone overlooked. Well, that is it for this week. Tell me what you like and disklike and stay tuned for next week which so far includes Steve Carell, Susan Sarandon, Sandra Bullock and many others.